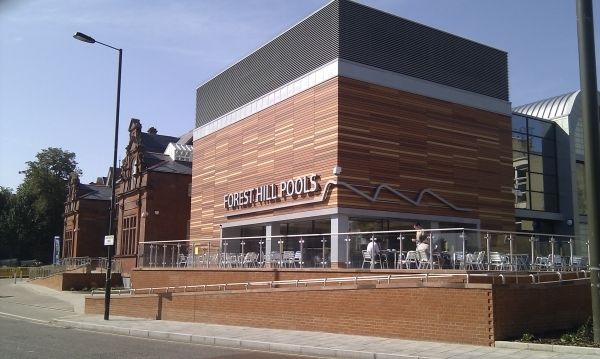 As 2008 draws to a close, swimming in Forest Hill faces an uncertain future. The listing of Louise House has invalidated much of the preliminary work done by the council because this was all based on the assumption that Louise House would be demolished. At the meeting of the Lewisham Mayor and Cabinet on 17th Sept a new feasibility study was proposed and this will be presented to the Mayor and Cabinet in January/February 2009. It has proved difficult to get new information from the Council about the proposed feasibility study and other aspects of the Pools' development. 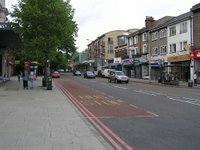 The Forest Hill Society has put together proposals for what we believe to be a better consultation process, involving the community at an earlier stage in producing the design brief. We have shared this with the Sydenham Society and Save the Face of Forest Hill. A local architect has done some drawings which demonstrate the feasibility of locating two pools on the site, whilst retaining the facades of the current Pools building and Louise House as one credible option for the future of the site. Together with our shared vision of a design competition to produce quality alternative proposals for the site, we feel that we have much to contribute and the three groups are jointly seeking an urgent meeting with the council to progress this issue. Meanwhile, the Council officers have arranged opportunities for stakeholders to visit Louise House to see the current state of the buildings. The English Heritage report says the internal layout is broadly original, dating from the time it was used as a Girls’ Industrial School. It suggests the bigger room on the upper floor would have been the girls’ dormitory. The girls would have been monitored from an adjacent room with windows looking into the dormitory! The laundry block at the back is a long, low building, mainly comprising one large room, until recently used as a nursery.